24 oz. Clear Nectar. Made with 100% finely ground Sucrose - The sugar that most closely simulates the nectar from flowers. 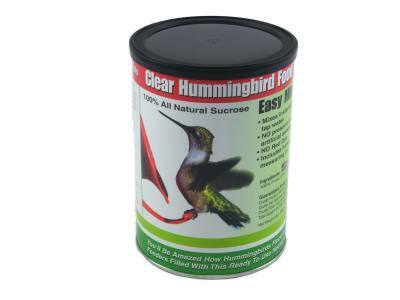 Our Easy Mix Nectar quickly and easily mixes in cold or warm water - Each resealable can makes 1-1/4 gallons of nectar.